On July 14th and September 28th 2016, WWF and other Environmental Paper Network member organisations organized a webinar to share knowledge on how organisations can do fibre testing to identify paper linked to deforestation, and the experiences and results of paper tests done in the past. More and more books are manufactured abroad, particularly in Asia. The relocation of production has been particularly rapid within the children’s book sector, as well as cookbooks photo books, and any sort of books with colourful pictures printed on glossy paper. 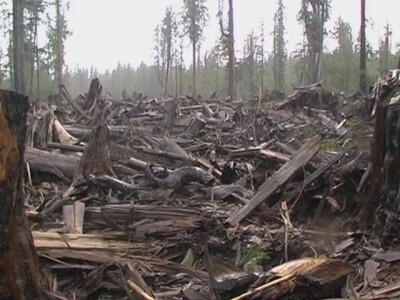 The Chinese paper industry has a chronic deficit of wood fibre, and imports pulp or wood chips from all over the world, including Indonesia, Vietnam, Laos and Siberia, areas where deforestation is rampant. Fibre testing can be an useful tool to prove the link between publishing industry and deforestation, providing an indisputable scientific argument: paper is produced using timber, and it still contain fibre (wessels) that can be analyzed. Microscopic wood species identification is an established method used routinely to identify wood types, such as those among solid woods, veneers, plywoods, etc. It consists of a macroscopic and microscopic examination during which the genus and in many cases the species of wood samples can be determined unequivocally based on their anatomical structure. With fibre analysis, scientists use high-powered microscopes to look at plant fibre and vessels in a snippet of paper to identify what types of trees were used to make it. Paper fibre tests has been successfully used in the past years by NGOs in Germany, US, Norway, Switzerland and Italy to highlight the presence of deforestation fibre in books, mostly related to forest destruction in Indonesia. – how to manage communication and campaigning.